We are a group of homeowners that are very proud of our wonderful neighborhood. The neighborhood meetings are held quarterly. If you have any questions, please feel free to call the clubhouse at 918-376-1901. Our community has officers that are elected at the end of each calendar year. Each officer is elected to a two year term. We also have many people volunteer to be chairman of our many committees to help make our community a better and safer place to live. Other volunteers are always needed to help on a committee either all year or on just one event or project. The Architectural Committee reviews any changes that a homeowner proposes to make to his/her lot, such as building a deck, additions to one's house, landscaping, erecting fences, sheds. The committee's purpose is to protect property values maintaining a uniform neighborhood appearance and preventing projects which might violate deed restrictions or disrupt water drainage. The Pool Committee oversees the operation of the Community pool and works with the pool management company to ensure that everyone has a safe and enjoyable time at the pool. They oversee the development and publication of the pool rules and hours of operation. The Clubhouse Committee oversees the operation of the clubhouse. They make all reservations for the clubhouse and enforce the rules or the use of the clubhouse. The Pond Committee helps with the upkeep of the ponds and fountains. He will work with the board members if any problems arise and need to be addressed about the ponds in the neighborhood. TThe Budget Chairman manages the HOA funds and investments. He prepares an annual budget each year to be approved by the Board. He prepares quarterly reports from the monthly reports prepared by the Treasurer. He serves on the Audit Committee. 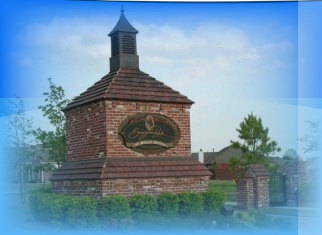 The Landscape Committee is responsible for maintaining and improving the Common Areas of Bailey Ranch Estates. These areas include two playgrounds, three ponds, a clubhouse and pool area and three entrances. The Chairman coordinates with the lawn service company to have trees and bushes trimmed or new ones planted. Plants and flowers planted in beds and at three entrances. the quarterly Owasso Strong Neighborhood Initiative meetings to keep up-to-date with the new City regulations, the crime trends and ways to help prevent these crimes and the number of emergency calls (Police, Fire and Ambulance) to our neighborhood. The Social Committee plans HOA sponsored events i.e. Easter Egg Hunt, Halloween Haunted House and Children’s Christmas Party . The Chairman coordinates with the City of Owasso in planning the annual Block Party. The Chairman creates and has printed a quarterly newsletter that is mailed to all homeowners, tenants and management companies to inform them of upcoming events, any safety issues, reminders of annual Dues and deadline for payment. Also, Contests and Contest Winners and contact information for all officers and committee chairmen. Advertising space is available in the newsletter with reasonable rates for residents and nonresidents. new homeowners in our neighborhood. They answer any questions the new homeowner might have or directs them to the proper officer or chairman. The Playground Committee oversees the two parks and playground areas. It inspects the playground equipment regularly and advises the Board of any repairs or replacements needed. It empties the trash receptacles at the parks, playgrounds and ponds and refills with new trash bags. The chairman will search online or locally for new additional playground equipment as funds are available and present findings to the Board.